This unique retreat is about cultivating well-being through movement and insight. Combining Vinyasa Flow (yoga) with stress relief practice Yoga Therapy you will learn how to heal yourself from the inside through meditation and scientifically sound yogic practices. In the morning you will have a mind-body practice and stress relief based on Yoga Therapy. You will practice techniques that quickly re-balance your nervous system for the alleviation of both short term and long term stress while developing personal awareness of the body and the mind. Each day you will be exploring the wonderful Ionian islands of Greece while sailing on a luxury sailing yacht which will be your home during the retreat. You will practice yoga at sunset and sunrise on a variety of beaches on the Ionian Islands. 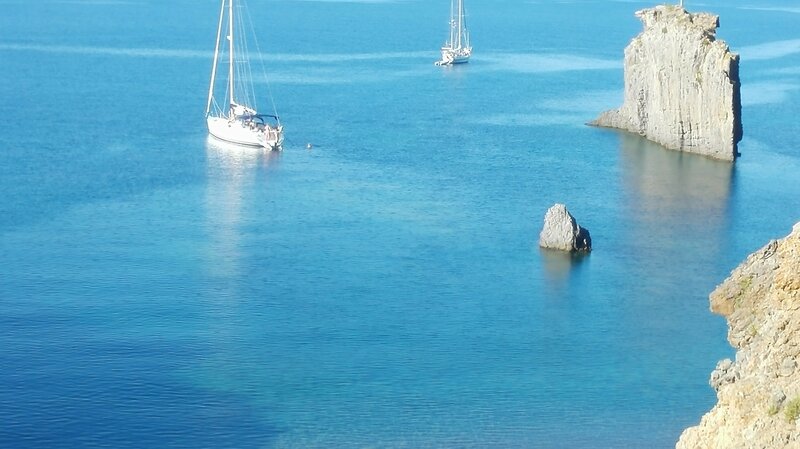 You will have a pleasure of swimming in the most remarkable places in Greece. You will be treated with delicious Mediterranean food prepared by the Italian captain/chef. You’ll have chance to visit those islands and explore their culture and beauty. Join us for 15 days of personal exploration where science meets spirituality and expression unleashes ecstasy on beautiful Italian islands! From 10th to 18th of November we’ll explore Corfu, Paxos, Ithaka, Kefalonia and Greeck Ionian Coast. During this time we’ll practice yoga by sunrise, have some brunch, practice yoga by sunset and have some dinner. In the meantime we’ll have some time to immerse into the culture of islands and explore their nature. The itinerary can change due to the weather conditions and a democratic choice of the crew and participants. Check your flights on Skyscanner. You can fly by EasyJet or Ryanair. Cheap flights up to £100 if you book now. BOOK YOUR FLIGHT IN ADVANCE TO GET THE BEST DEAL! Get in touch if you want to get on board in Corfu.